To understand my love of China, is to understand my love of travel. While I had traveled abroad before my trip, it was not “my” trip. I had always been following my parents or grandparents. I was merely a spectator to the whole experience, not an active part of it. On my first night in Beijing, we stopped by Tienanmen Square at dusk. It was the first time that I have been awestruck from a travel experience. It was the first time when pictures failed to prepare me for the the scene that had unfolded before my eyes. The size and scale were breathtaking. The dozens of kites flying on the stiff early-evening breeze were magical. And for the first time, I was fully conscious of my foreign status in a new and alien world. I have been lucky enough to visit China on three separate occasions, first as a student, then as a teacher, and finally just for fun. The first trip was an epic journey across the country with twenty University of Tennessee political science majors in May of 2004. We started in Beijing, took an overnight train to Xian, spent a week and a half in Chengdu, a weekend on a 14,000 foot mountain in western Sichuan Province, a day trip to Suzhou, and finally a few days in Shanghai. The next summer I had an opportunity to teach at an English immersion summer camp at Tsinghua University in Beijing. I never left the city–spare for a couple of day trips to go hiking–and never really felt like I had to. Beijing is an incredible city. There is so much history, culture, and important sites that I never felt bored. In many ways, this was a better trip than my first. I quickly felt comfortable in my home away from home, and I formed much stronger friendships with my fellow student-teachers. 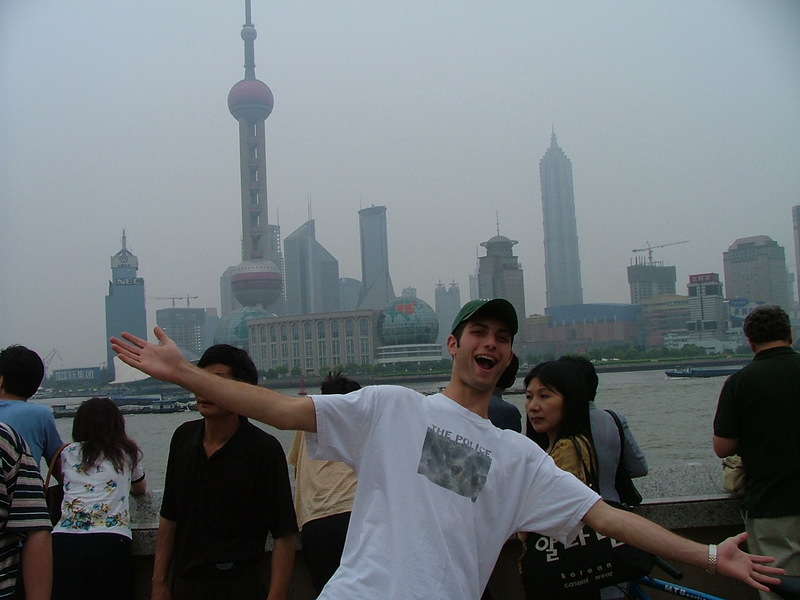 Finally, I went back to Shanghai, Suzhou, and Nanjing over New Year’s, 2006-07 with my British friend, Dan. As I sit here writing this, I can’t believe it has been over five years since my last visit to China. Since that first trip, I have been to five other countries in Asia, and ten countries in Europe, but despite all of those wonderful experiences, China remains my favorite destination so far. I believe it is safe to say that it is only a matter of time before I find myself back on Chinese soil.